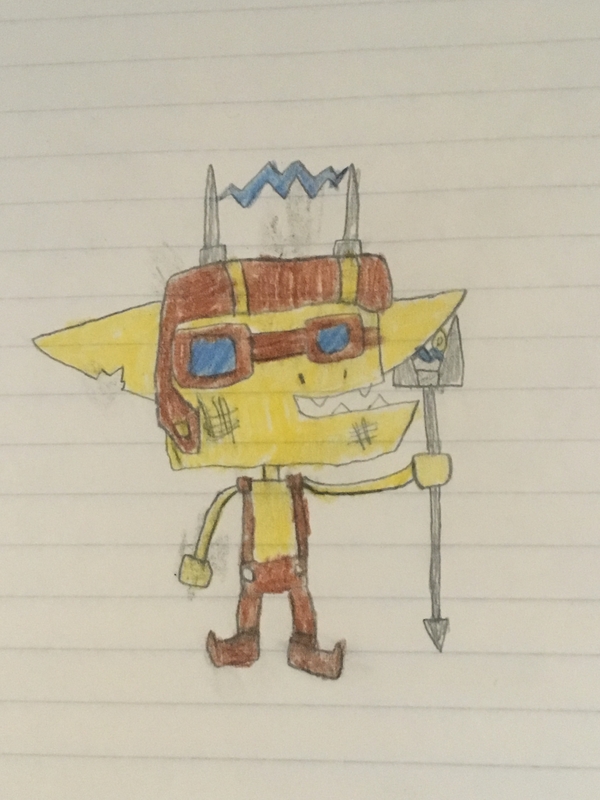 Description: "SparkFeetz is a designer of weaponery and other gadgets for the Nuggetooth Goblins. One day, when working on a new invention, a magical bolt of lightning struck SparkFeetz, giving him the ability to absorb and manipulate electricity! Now with his newly forged steel fork, SparkFeetz can fry his enemies in many different ways. He likes his foes cooked medium." -Mystical: Deals 25% more damage to slow and tank heroes. -Lightning Rod: Heals from lightning attacks instead of taking damage. When SparkFeetz is shocked, chance to shock attackers, as well as a chance to deal moderate lightning damage to all enemies when hit by any attack. SparkFeetz is also more susceptible to being shocked. -Poke: Basic melee physical attack. -Mystical 2: Deals 50% more damage to slow and tank heroes. -Goblin Insight: Increase Goblin allies' skill by 25%. -Mystical 3: Deals 75% more damage to slow and tank heroes. -Discharge: When SparkFeetz dies, allies gain 3 energy and all enemies have a chance to become shocked.